Pickles have been popular for hundreds of years. 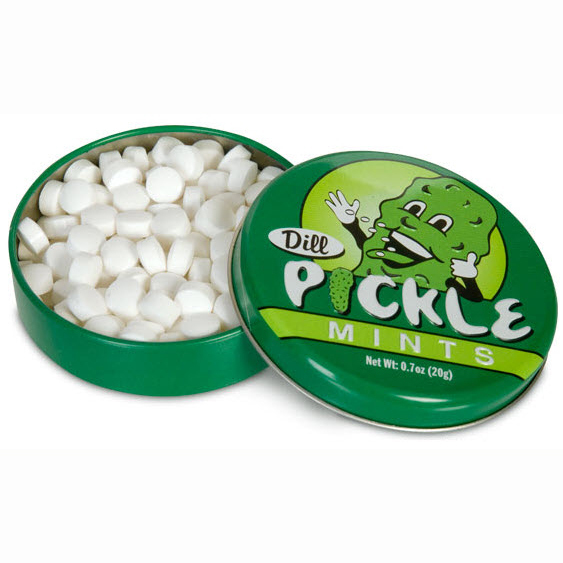 Try some of these delicious dill flavored mints and you might get popular too. Each 2-1/4" (5.7 cm) round tin contains about one hundred mints. Tastes like a slice of pickle with just a hint of mint.